Did Second Death Star Explosion Cause an Endor Holocaust? 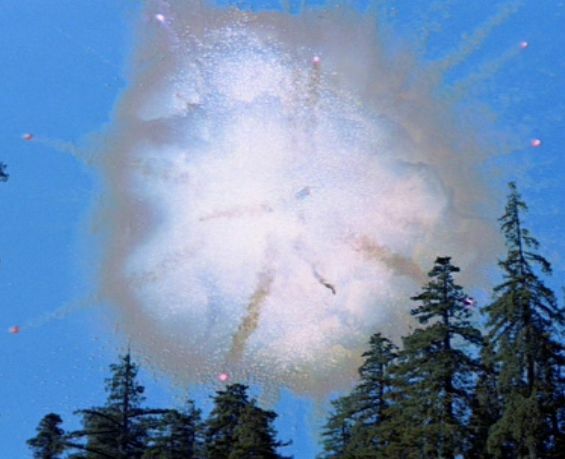 The explosion of the second Death Star as seen from the Forest Moon of Endor. Lucasfilm Ltd.
What happens when a huge space station like the Death Star explodes over a populated world? According to theoretical astrophysicist Curtis Saxton, author of Star Wars Technical Commentaries, an Endor Holocaust is scientifically inevitable. The falling debris from the Death Star would destroy all life on the Forest Moon. In his article "Endor Holocaust" (1997), Saxton provides a detailed explanation for the events and conditions that lead up to the destruction. First, the Death Star has such a low altitude and slow orbit that it must have help keeping it in orbit; perhaps a repulsor field emanating from the shield generator or created by the Death Star itself. Second, based on the trajectory and speed (80 km/s) of the explosion, between 15.4 percent and 100 percent of the mass of the Death Star will fall to the surface of the Forest Moon. Many pieces of the Death Star are several kilometers long. When these large chunks hit the surface, they will create groundquakes and craters, and will release dust and soot into the atmosphere. Even the smaller pieces will enter the atmosphere as ash and dust. The dust in the atmosphere will block light to Endor's surface even on the side away from the Death Star, causing a severe cooling effect that will wipe out all life. Saxton goes on to address the lack of canonical mentions of the Endor Holocaust. The only canonical support for the idea comes from X-Wing: Wedge's Gamble by Michael A. Stackpole (1996). In the novel, Wedge discovers an Imperial museum with stuffed Ewoks on display, along with a note that Ewoks and other creatures from the Forest Moon went extinct due to the Rebels' actions at Endor. Other sources require more convoluted explanations; for example, the idea that Kyp Durron does not mention any destruction when he arrives on Endor in Dark Apprentice (Kevin J. Anderson, 1994) because he is experiencing a Force-induced delusion. In a rebuttal of the Endor Holocaust theory, Gary M. Sarli argues that the Death Star implodes on itself, a possibility that Saxton rejects. Because of the implosion, much of the debris from the second Death Star did not fall to Endor. ﻿This theory gains support from an unlikely source: The Glove of Darth Vader (Paul and Hollace Davids, 1992), the first book in a novel series for young readers, which required numerous retcons and fixes to fit semi-coherently into the Star Wars universe. The book states that when the second Death Star exploded, its hyperdrive reactor opened a temporary wormhole, scattering the debris to other parts of the galaxy. Furthermore, later sources more directly contradict the idea of an Endor Holocaust. For example, the short comic "Apocalypse Endor" (Star Wars Tales #14, 2002) states that the Rebels cleaned up the remaining debris from the Death Star, preventing any harm to the planet. 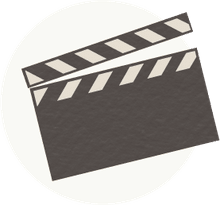 Based on canonical evidence, the Endor Holocaust is merely Imperial propaganda or wishful thinking -- a way to portray the Rebels as callous and uncaring, unconcerned about the collateral damage the war caused to their allies.